We normally take patients by appointment, but would be happy to see you and your pet if you stop in. If you are a walk-in patient/client, please understand that you may have to wait until the doctor has an opening between scheduled patients/clients. Our hours are as follows: Mondays from 7:30am to 6:00pm, Wednesday, Tuesdays, Thursdays, and Fridays from 7:30am to 6:00pm, and Saturdays from 9:00am to 2:00pm. We are CLOSED ON SUNDAYS. Doctors are not on the premises until 9:00am every day. The time from 7:30-9:00am is reserved for surgery check-ins and drop-off appointments. EMERGENCIES: Please phone us before coming in as we are not an emergency clinic and there are some services we cannot offer. If we have the time and staff to address your emergency we will encourage you to come right in. If we are not able to handle your emergency we will refer you, and call ahead for you, to VCA Northwest Vet Specialists located at 16756 SE 82nd Dr., Clackamas, OR 97015 and their phone number is 503-656-3999. They are the emergency clinic that is closest in location to us. We want to make sure you are aware of what to look for, what to be concerned about and when to get medical help. Adverse reactions can potentially occur with any vaccine, at any age and regardless of a pet’s past exposure to a vaccine. We would like to congratulate you on the acquisition on your new puppy. Owning a dog can be an extremely rewarding experience, and it also carries with it quite a bit of responsibility. We would like to congratulate you on the acquisition on your new kitten. Owning a cat can be an extremely rewarding experience, but it also carries with it quite a bit of responsibility. 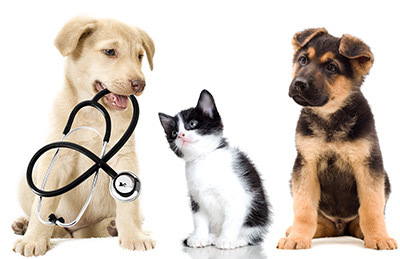 Please contact us at (503)698-8374 for all your pet health care needs.